Located in the remote region of Costa Rica’s northern Caribbean Coast, Tortuguero is a place like no other on Earth! Famous for its canals and waterways, this area great destination to include on your next vacation. When choosing your Tortuguero Hotels, it’s important to remember that due to the remoteness of the location, most of the hotels provide complete packages that include transportation to and from San Jose, all meals and tours. Staying at one of these Tortuguero Hotels is an incredible experience. The high level of service found in the area is remarkable. 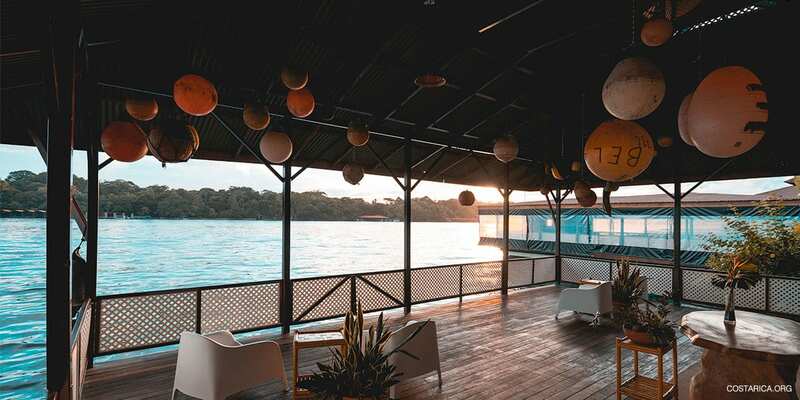 If you are looking for luxury accommodations in Tortuguero, Manatus is a five-star option and one of the few to offer air conditioning and full la carte menus. Other lodges in Tortuguero such as the Laguna Lodge, are famous for the quality of their tours and meals. Visit the amazing northern Caribbean side of Costa Rica, and delight in one of the top Tortuguero Hotels. The Tortuguero National Park preserves one of the largest remaining areas of rainforest in all of Latin America, making it an incredible vacation destination. Also full of nature, it’s a paradise for the magnificent sea turtles that lay their eggs here. Although in terms of accommodations, the options range from tropical lodges to bio-reserves to luxury hotels. Call one of our expert travel coordinators to help you find the perfect accommodations in Tortuguero, Costa Rica today. Tortuguero Hotels are not overly luxurious and it is not the place to go to if you want to be pampered with leisure and amenities. You will not find all inclusive 5 star resorts here. All inclusive in Tortuguero means meals, transportation, a fan, and maybe a few included activities. These activities usually involve kayaking, canoeing, jungle walks, and nesting turtle patrols at night if the season is right. Tortuguero National Park draws people from all over the world, to observe in awe the beauty and diversity of nature. If your vacation’s during the months of June to October, prepare yourself to see hundreds of Green Sea turtles who return to the area to nest. Take a night tour to see them, and make sure not to bother them in any way. The Caribbean Conservation Program has been protecting them for the last 40 years! Also possible to view is the 3-toed sloth, 3 different types of monkeys, lizards, toucans, among many other exotic animals. All in all, the area is like no other place on earth, and neither are the hotels of Tortuguero. Firstly, With access to the beach at this beautiful lodge, you’ll also have access to watch to the turtle’s nest! Watch the little ones as they race towards the waves after hatching. The lodge itself lies on a narrow strip of land between the Caribbean Sea and Tortuguero Lagoon. Explore the wonderful channels of the area and be within minutes of the town and major attractions. Secondly, this lodge is one of Tortuguero’s newest hotels and is spread out over 34 acres, and is surrounded by wilderness and dense jungle. It has 88 guest rooms, each complete with a private bathroom, hot water and ceiling fans for comfort. The hotel is surrounded by a network of canals and is only 5 minutes to Tortuguero National Park. Thirdly, be treated with a true luxurious experience while staying at this hotel. The hotel boasts beautiful and spacious rooms with wooden floors, and only has 12 guest rooms. There’s queen sized bed, air conditioning TV, a mini-bar, and a solarium! There’s even an in-your-own room spa service! The restaurant on site is world-class, making it one of the best restaurants in Tortuguero. Fourthly, this hotel is only minutes from the main entrance of Tortuguero National Park. It also has a great all inclusive restaurant or a mini-bar, where you can spend a quiet night sipping a cocktail looking out over one of the many canals. There’s a refreshing swimming pool, as well as a magnificent spa on location. Each ingredient the spa uses is chosen to perfectly compliment your skin type, leaving feeling refreshed and healthy. Also, this hotel consists of 54 standard rooms and 4 superior rooms, as well as a conference room, swimming pool with Jacuzzi, two family restaurants. There’s also a plethora of wildlife on the grounds, including a variety of exotic birds. The 15 acre property is a perfect hide-away for nature lovers. There’s also a long beachfront infront of the hotel, and although not safe to swim in, indulge in taking a long stroll in this picturesque environment. Lastly, come enjoy the balance of luxury and adventure at this hotel! The Lodge is actually an Ecological and Sport Fishing Resort very near to Tortuguero. It was designed by staying in-touch with its location, wind direction, and the sun. The hotel has 27 spacious and luxurious suites with king or queen beds, tiled bathrooms and a large screened-in porch. It’s great for the avid fisherman!